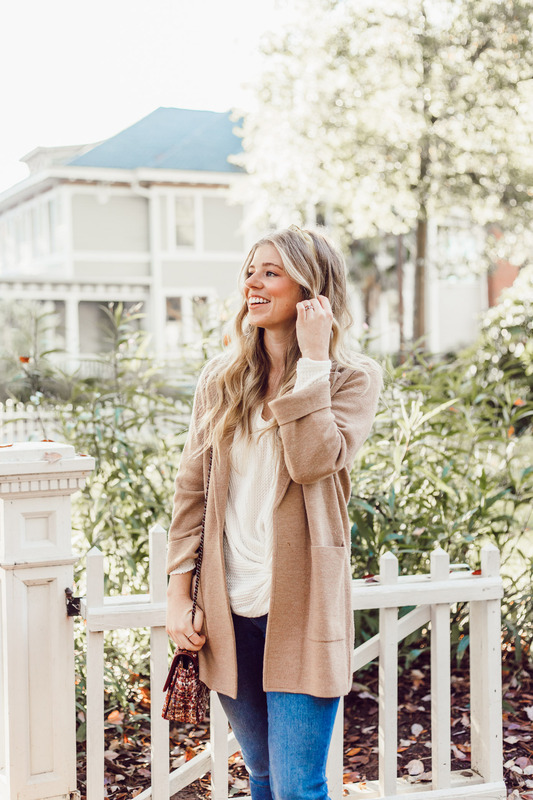 Styling a must have item for fall, a sweater blazer, for the perfect casual Thanksgiving Day look! Can you believe Thanksgiving is one week from today? I know I talked about the holiday yesterday but I seriously feel like November 1st was just yesterday. Where in the world did November go? I am not ready for the holidays to fly by. Hoping time slows down a bit and we all have the opportunity to really enjoy and savor the holiday season. 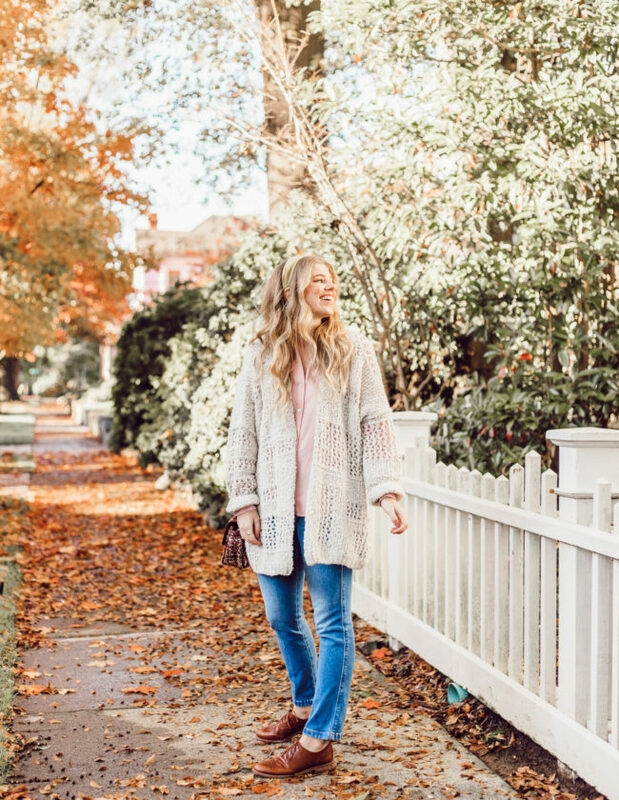 One way I plan on savoring Thanksgiving is by dressing casual (like always) and settling in for a day full of food and family! This year we’ll be spending Thanksgiving with my in-laws up at the lake. I absolutely love going up there (it’s only 45 minutes away but feels like forever away from Charlotte, in a good way) and getting away. I’m looking forward to watching the Macy’s Thanksgiving Day Parade and some football later in the day (when I’m in a food coma). What are some things you look forward to on Thanksgiving Day? Maybe some traditions your family has. One tradition I always miss when we aren’t with my side of the family for Thanksgiving, is eating a massive amount of my mom’s stuffing. It’s the BEST y’all! Onto today’s look though! As mentioned above, I’m going casual. Which I typically do as both of our family’s normally opt for a casual setting. So for me that means jeans and the cutest knot front thermal (which comes in a variety of colors). I’ll layer a sweater over it as I’m always cold and add my current favorite accessory, a headband. I think the mustard is perfect for the holiday. And also helps to pull the look together. 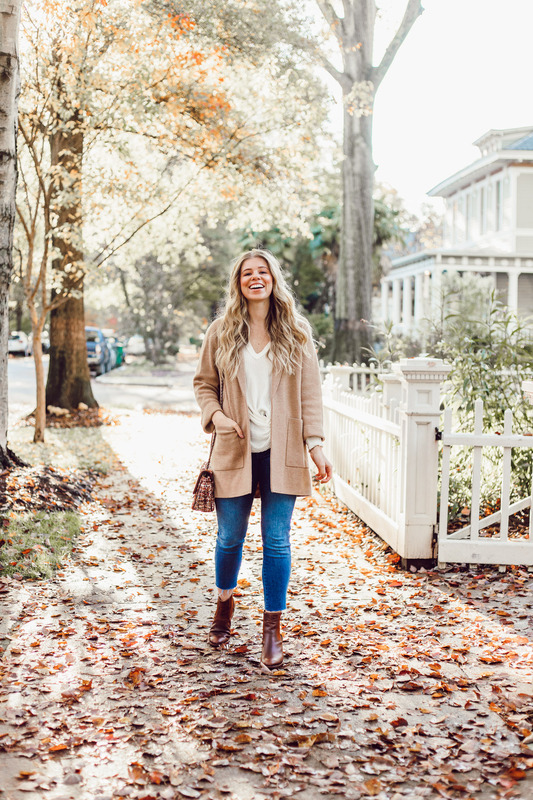 If you’re going casual this year I recommend jeans that let you breathe and a top that’s a little forgiving (or maybe something that has an even better ability to hide your Thanksgiving Day food baby). After all, you will be eating most of the day and you want to be comfortable! 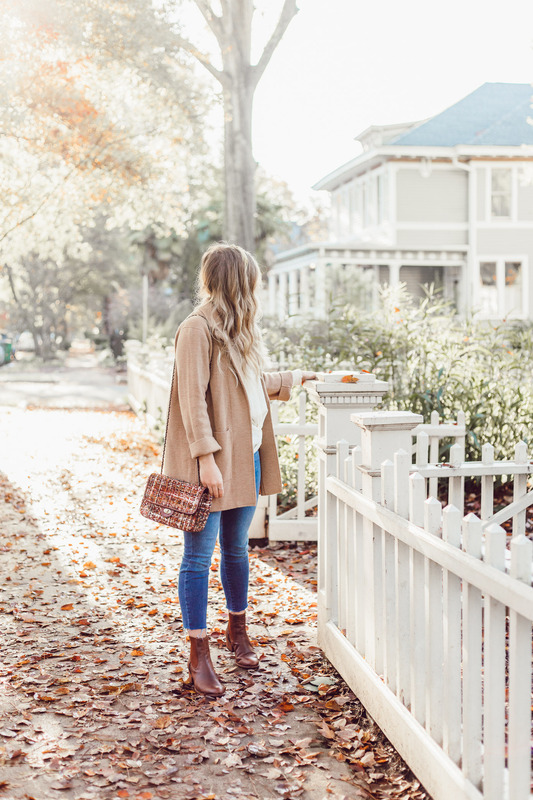 Below you’ll find some pieces I think would make for the perfect casual Thanksgiving day look – which could easily be styled several ways for the days after. 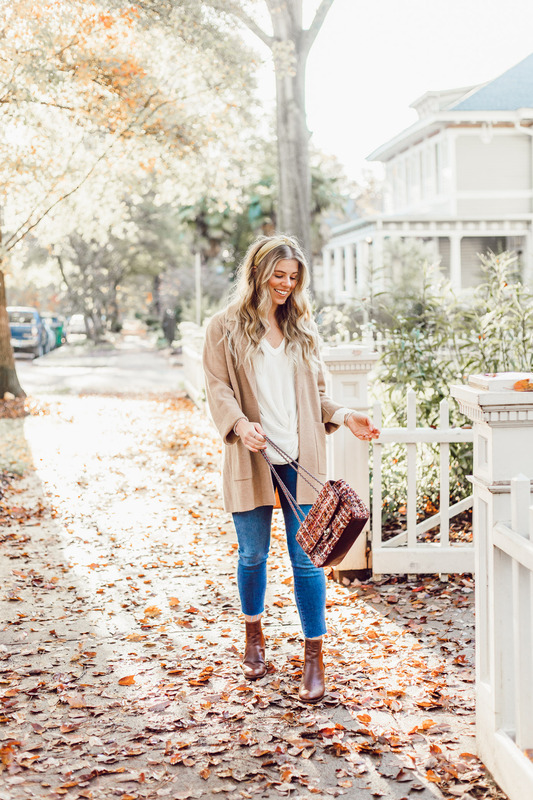 If you’re looking for more inspiration for your Thanksgiving day outfit, Alex of Adored by Alex, Lacey of The Glitter Gospel, and Rach of RD’s Obsessions are sharing casual Thanksgiving day looks as well! Be sure to check out their blogs to see how they’re dressing for Turkey day! Also, let us know if you’d like us to share Christmas and New Years Eve looks too. Love this easy look! So cute and casual but put together, my favorite ha! Thank you Jessica! Right, all about that life haha. This cardigan is gorgeous!! Love how you styled it! Aw thank you lady! Appreciate it! I definitely go more casual for Thanksgiving! 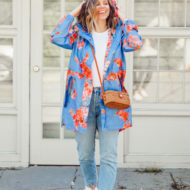 Love this look – AND THAT BAG! Glad you’re a fan of the casual life as well! Thank you – it’s been my go to lately. Aka you’ll be seeing it a lot on here haha. You seriously have the cutest style! Love the sweater blazer and those boots are so chic! 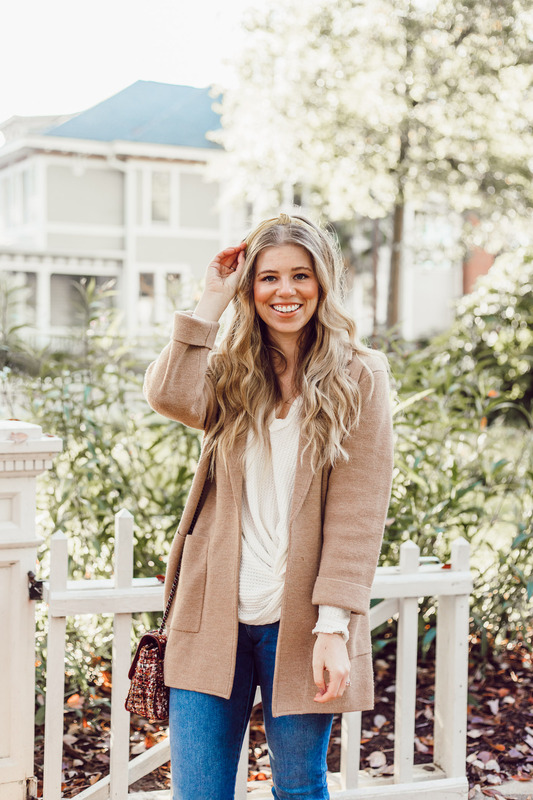 For sure perfect for a casual Thanksgiving! Oh my gosh you are so sweet to say that, thank you gal! I can’t believe Thanksgiving is so close!! 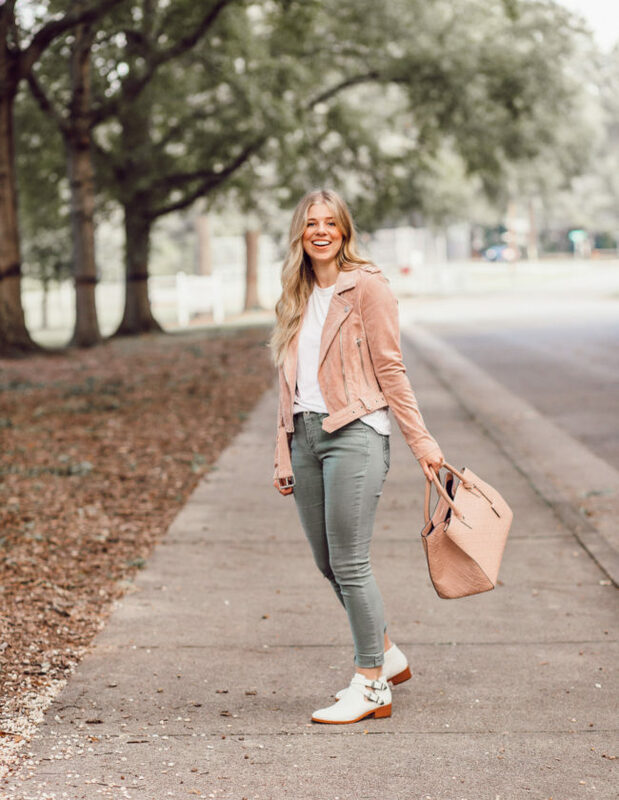 Love your look…I really love that the blazer is soft and cozy but still structured. And loving the accessories too! Same girl friend! November has flown by! Thank you so much! Definitely a great piece to dress items up but still feel cozy. Fall vibes to perfection!!! Loving the look and also seriously, how is it almost Thanksgiving?! Aw thank you girl friend! Right? Seriously blowing my mind it’s just days away. I am obsessed with this whole outfit! That blazer and handbag are my fave! Aw yay!! Happy to hear that. Thank you gal! Loved this post! For some reason, I always dress up for Thanksgiving and then end up regretting it because it’s so uncomfortable haha! Definitely going the casual route this year, and love that sweater blazer! Haha I can only imagine! You’re going to be one happy gal this year! 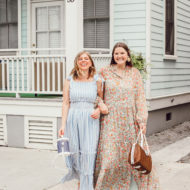 I saw this look on Rach’s blog and I’m so glad I got to see it again here. The color tones in these photos are fantastic. Aw yay! Happy yo hear that gal! Thank you so much! Casual is my middle name! Love this outfit lady, you look gorgeous! Also – need those booties like, yesterday. Haha with you girl friend! Thank you so much! And yes, you 100% do – I could not recommend them more. Love your outfit! That handbag is fabulous! It could be worn dressy or casual, love!! Thank you lots Cathy! I appreciate it! Oh I have been wearing it nonstop – definitely a great piece, recommend for sure. I love this cardigan! 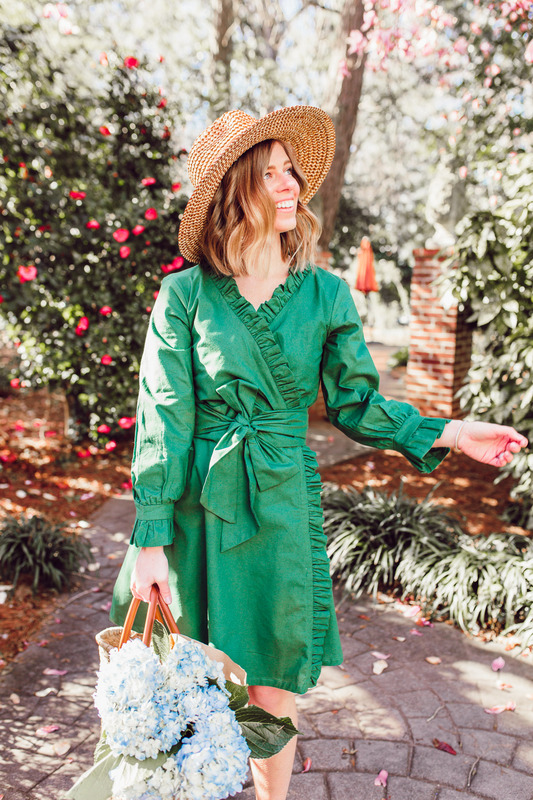 I feel like you will get so much wear out of it because you can style it so many ways. 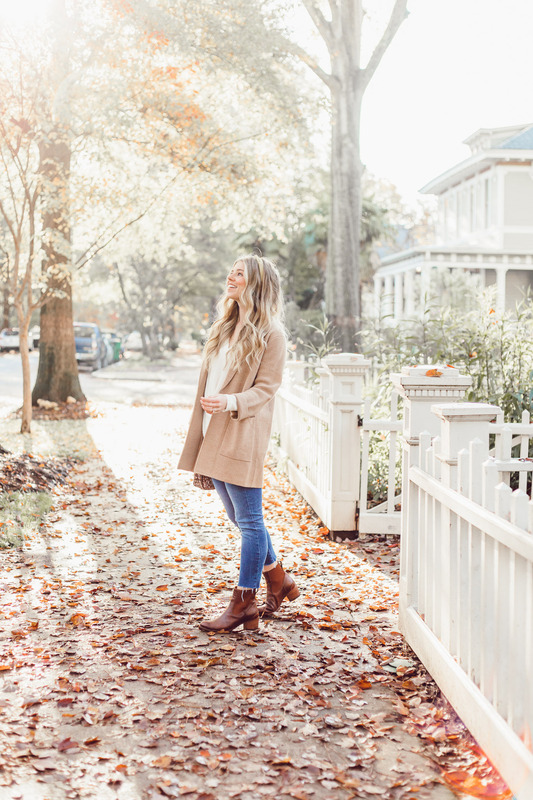 Such a cute and comfy outfit for Thanksgiving! Thank you Kim! Oh for sure. I bought it last year and basically wore it to death, surprised it still looks good haha. I love everything about this look! 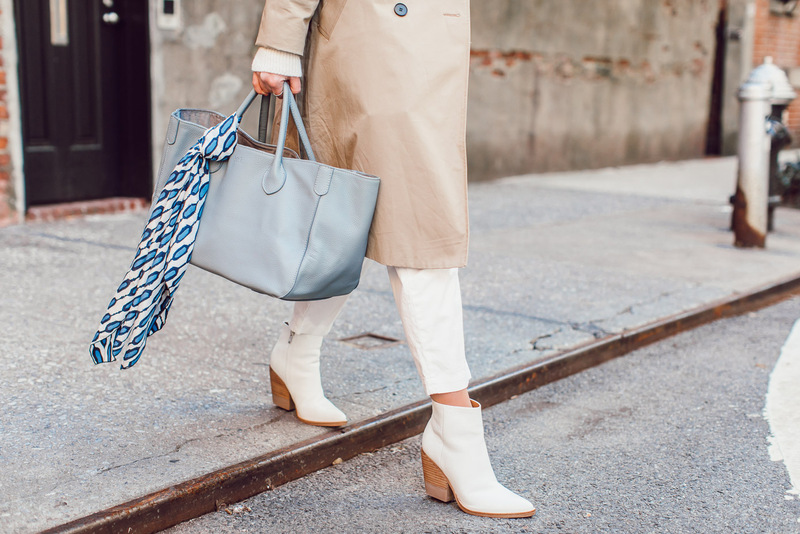 Switch out the blazer and booties for black and we’re twinning! Yes girl!!!! I love it! so cute and casual! just how i like my outfits! loving that cardigan! 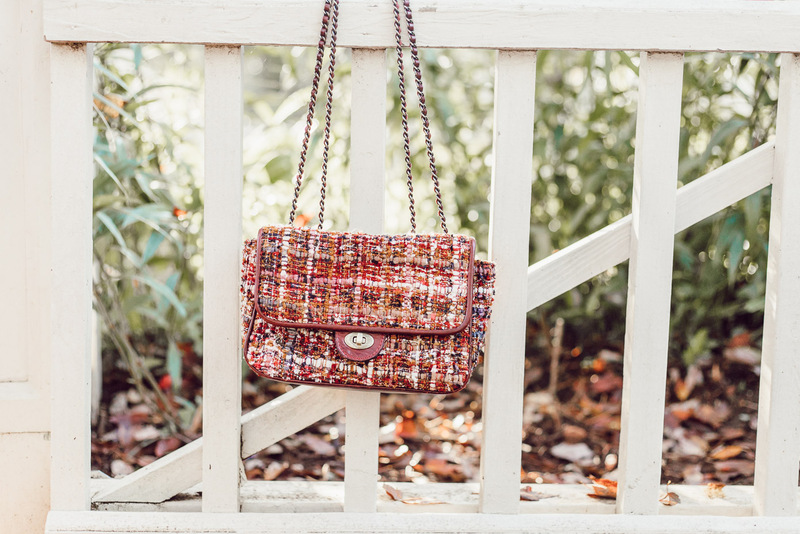 This look is perfect for Thanksgiving dinner! 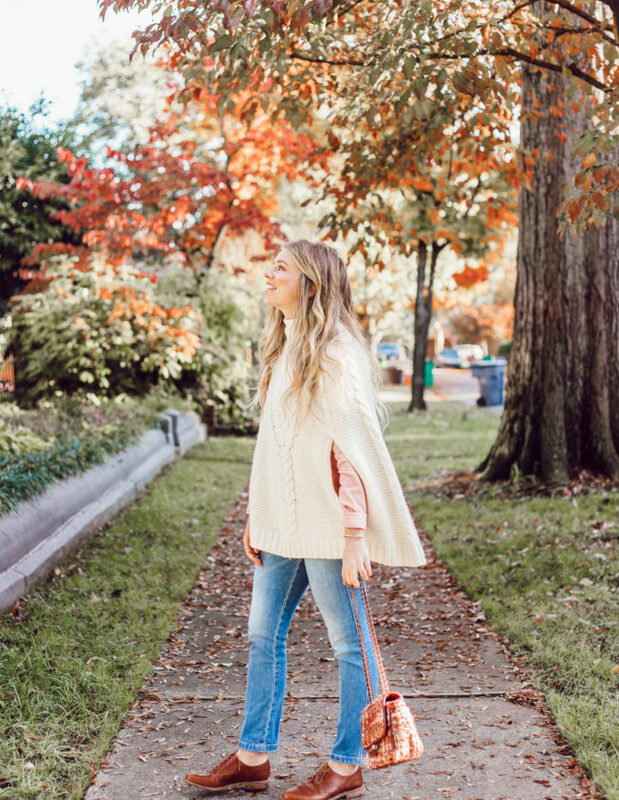 Love the classic cardigan and those booties. Thanks Jessica! Both are comfy as they are cute! Yep, this is my kind of Thanksgiving day style! Casual and cute. Yay! Glad you’re a fan of it too! Thank you so much Catherine! I really appreciate it!